Larry Curtis (Buck) Hoover was born on July 17th, 1952, to Raymond and Lucille Hoover. He was raised in Sapulpa, Oklahoma. Buck attended Sapulpa High School where he wrestled and Won Heavy Weight State Champion in 1970 for the Chieftains. He later graduated in 1971. Buck had one daughter, Leigh Ann Oxford of Collinsville along with his Son-n-law Chris Oxford. 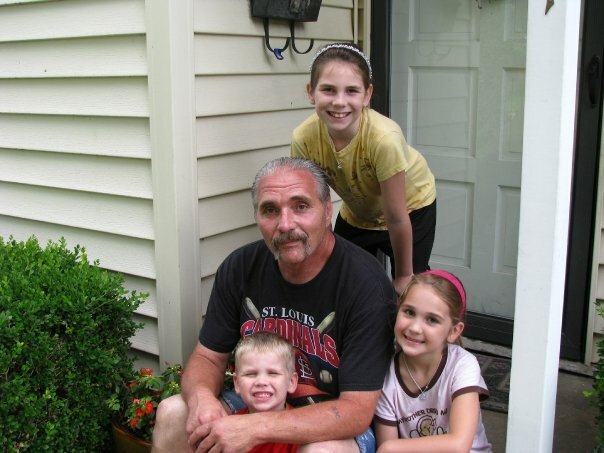 Buck was also a proud Grandpa to four Grandchildren. Abby(18), Gracie(16), Beau(13) and Reese(11 months) of Collinsville. He was a route driver for Superior Linen Service before retiring. Buck was also survived by his Ex-Wife/Best Friend Karen Hoover and her daughter Amy Stephens and of Kellyville, his brother Joe Hoover of Sapulpa and his Beloved little dog Annabelle. He was preceded by his Father Raymond, Mother Lucille, Brother Glen, Brother Windy and Sister Dorothy. Buck Hoover went to be with the Lord on August 23rd, 2017, in McAlester, Oklahoma, at the age of 65. His celebration of life is still pending. Very sorry to hear Bucky has left us. He was a joy to be around when we were in high school-quick witted and funny. May God grant your family peace.